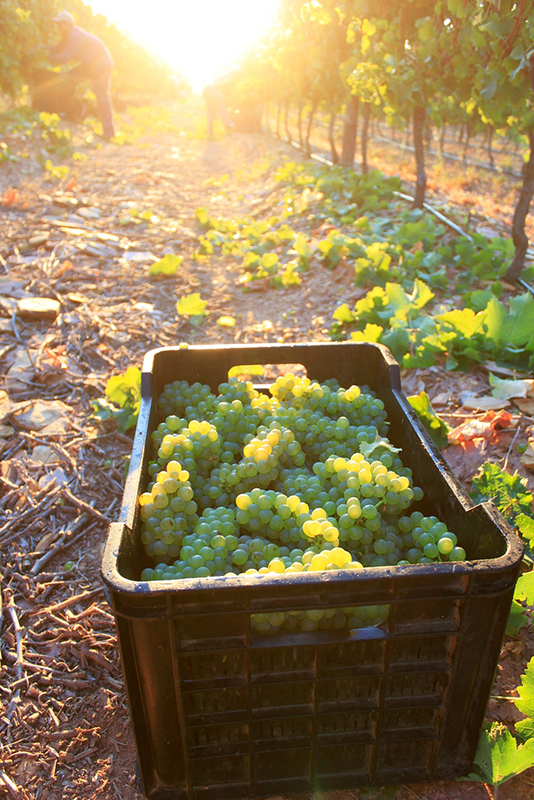 The ultimate goal of Black Oystercatcher Vineyards is to produce top quality grapes. And that is what the southern-most wine ward on the African continent, known as the Elim Wine Ward, offers: quality grapes with intense varietal characteristics. So how do the grapes gain their fruit flavours? Through their unique setting: the combination of the Elim soil near Cape Agulhas, the coastal maritime climate and the cool sea breeze. The coastal shelf on the Agulhas Plain was formed 900 million years ago, and is believed to have originally been part of Antarctica. As a result, the soil types are diverse and distinctive to this region, dominated by broken shale, cool iron ferricrete and quartzite soil. This diversity in soil types constitutes an array of distinctive mineral and flinty flavours in the grapes. Great care is taken in soil preparation, rootstock selection, trellising, specific canopy management and strategic irrigation to ensure the best possible quality grapes. The cool maritime climate of the peninsula leads to the gradual ripening of the grapes. The peninsula is bordered on three sides: the south where the two oceans meet, the Atlantic Ocean on the west and the Indian Ocean on the east. Because of the location, both the south-easterly wind and the south-westerly wind – the two dominant winds in this Elim region – blow directly off the sea. They’re cool winds, and the air is known to carry some salt from the ocean. The harsh growing conditions caused by these perpetual coastal winds restrict vegetative growth and engrave excellent character of concentrated fruit flintiness and minerality in small compact berries. Due to the proximity to the coast, the night temperatures cool down considerably and the day temperatures seldom reach extreme highs. The result? Premium quality grapes at lower yields, with crisp yet fruit flavours and noticeable minerality. Once the grapes are ripe, they are handpicked in the most natural way, and dealt with in the softest possible manner at our cellar – from where our boutique wines are made.